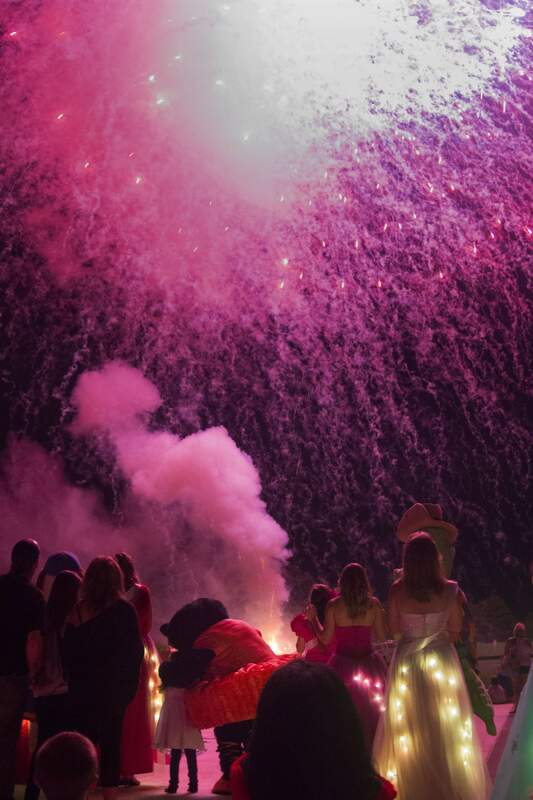 Please join us for our annual 4th of July Fireworks Extravaganza on July 4 and 5! 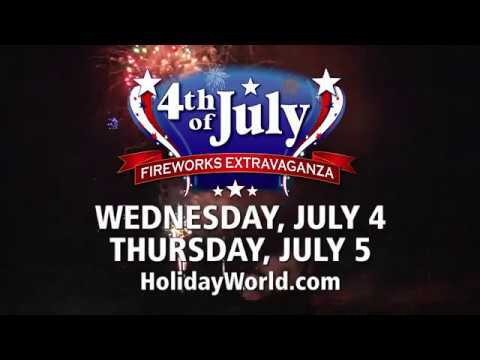 No other park in the world has a themed 4th of July section, with rides, shows, shops and restaurants celebrating that special day in 1776. 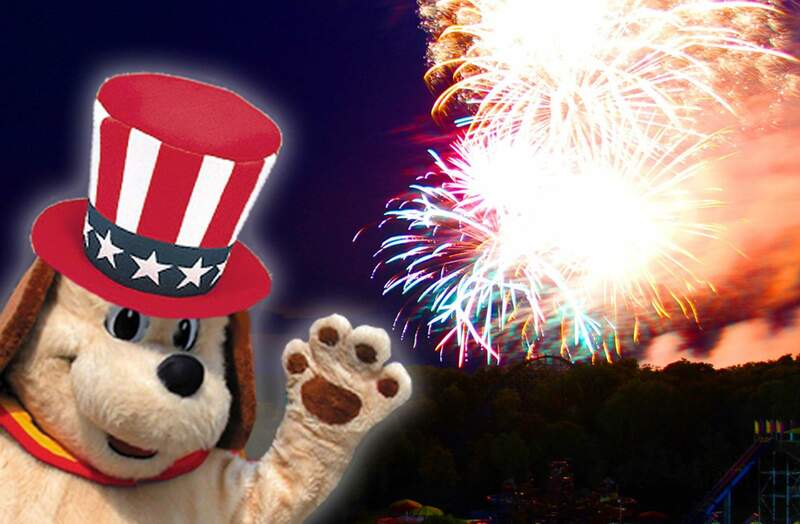 When it’s park closing time: Special souvenir 3D Fireworks Glasses are available (free on July 4 only), plus Character Masks are 99 cents each. Simply slide your Character Mask (your choice of Holidog, George the Eagle, Kitty Claws or Safari Sam) over your 3D Glasses for extra fun! Best places to watch? Thanksgiving and Hyena Falls! 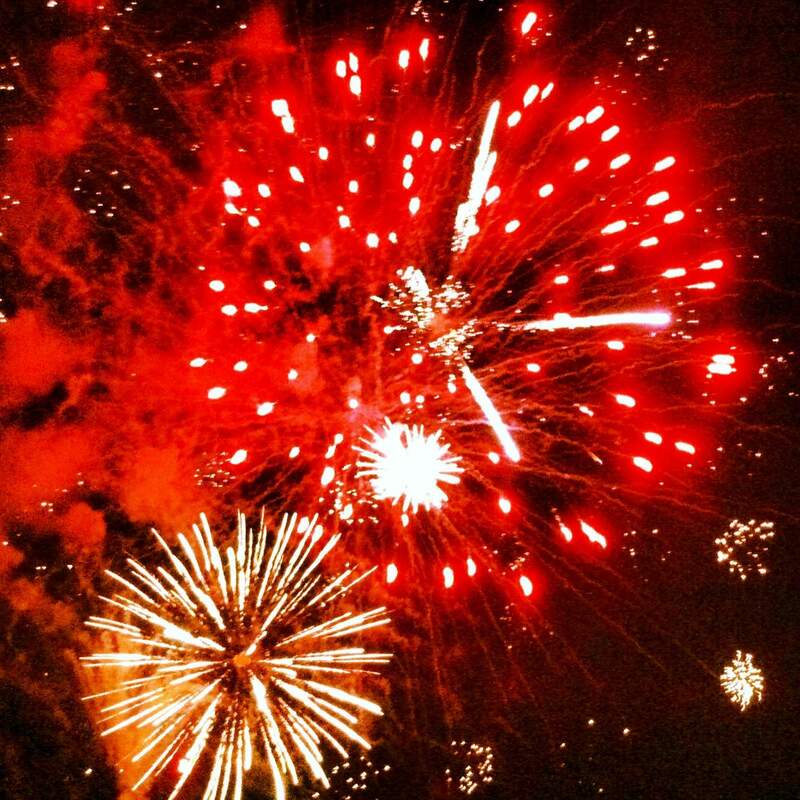 Remember: we also celebrate Friday Night Fireworks through the end of July! 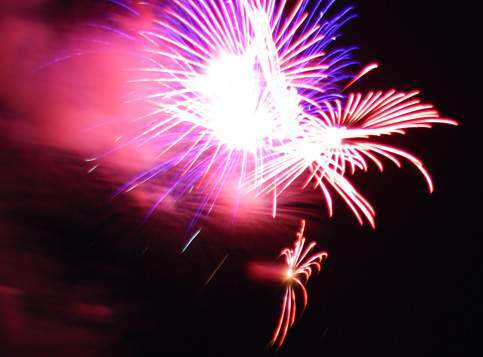 Please note: In the case of severe weather, fireworks may need to be canceled. Watch our Facebook page and Twitter feed for updates. … the most memorable epoch in the history of America. I am apt to believe that it will be celebrated by succeeding generations as the great anniversary festival. It ought to be commemorated as the day of deliverance, by solemn acts of devotion to God Almighty. 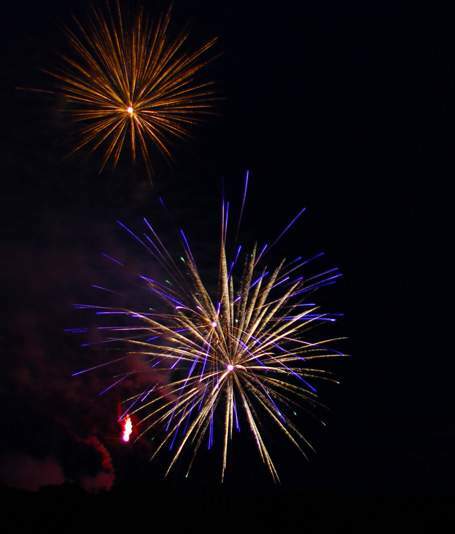 It ought to be solemnized with pomp and parade, with shows, games, sports, guns, bells, bonfires, and illuminations, from one end of this continent to the other, from this time forward forever more. 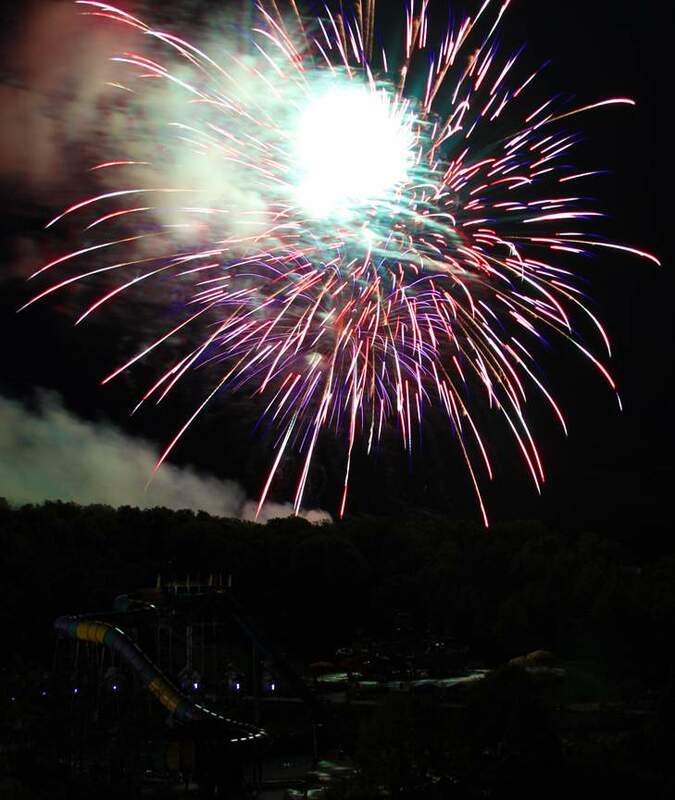 Our 4th of July section opened in 1984, the year we changed our name from Santa Claus Land to Holiday World. George the Eagle is the 4th of July section’s mascot. Rides include Firecracker, Liberty Launch, Eagles Flight, Raging Rapids and Revolution. 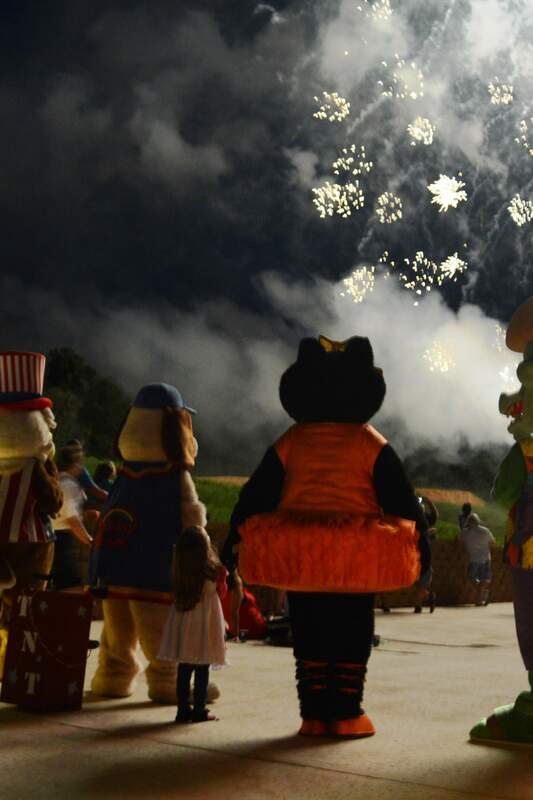 Holidog’s FunTown is included in 4th of July.